Olav Holst-Dyrnes, who lives in Ålesund, is currently CEO of Havfisk ASA, Norway’s largest ocean-going trawler company. With Aker ASA as its principal shareholder, the company has been listed on the Oslo Stock Exchange since 2005. As CEO of Havfisk ASA, Olav Holst-Dyrnes has helped increase efficiency, boost financial performance and implement strategic changes with the involvement of all levels in the organisation. He also has previous experience of the furniture industry, having spent six years as Sourcing Manager at Stokke AS. Olav Holst-Dyrnes holds a Master’s degree in engineering from the Norwegian Institute of Technology (NTH), and completed officer training in the Norwegian Armed Forces, where he served for 10 years. During the recruitment process, Ekornes’s board of directors has sought to find a new chief executive who is goal-oriented, has a demonstrated ability to implement change, strong leadership skills and a considerable capacity for strategic thinking. The board is looking forward to working with Olav Holst-Dyrnes, not only to realise the potential inherent in Ekornes’s excellent products and skilled workforce, but also to find new ways to address the challenges the company is facing in a demanding furniture market. Olav Holst-Dyrnes will take up his position no later than 1 December 2014. Nils-Fredrik Drabløs continues as acting CEO until Olav Holst-Dyrnes joins the company, and will remain on-hand to help out during a transition period. Ekornes ASA is the largest furniture producer in the Nordic region, and owns the brand names Ekornes®, Stressless® and Svane®. Stressless® is one of the world’s most well-known brand names in the furniture industry, while Ekornes®, Stressless® and Svane® are the most famous furniture brands in Norway. Manufacturing takes place at seven factories, six in Norway and one in the USA, while Ekornes’s products are sold in large parts of the world through sales subsidiaries in selected markets. 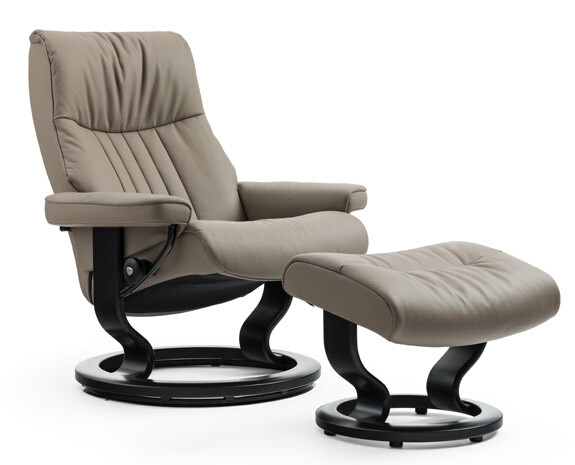 Ekornes employs around 1,600 people, and generated sales revenues of NOK 2,561 million in 2013.